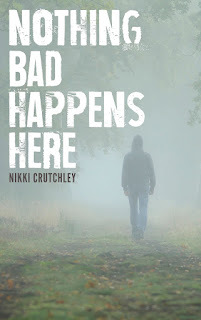 This Monday we’re thrilled to have Nikki Crutchley joining us on the Pict blog to talk about her debut novel Nothing Bad Happens Here. So Nikki, what inspired you to write Nothing Bad Happens Here? All I really knew when I started was that I wanted to write a crime/thriller. I have loved these kind of books ever since my teens. A whodunit with (hopefully) a great mix of complex characters. Well, writing in a genre that you love to read makes sense to us – you already know what works for readers. Where is Nothing Bad Happens Here set? It’s set in the fictional town of Castle Bay on the beautiful Coromandel Coast of New Zealand. I made up Castle Bay as I wanted a very specific kind of town – small enough where everyone knows everyone, on the coast with claustrophobic bush as the background. Sounds intriguing... I guess we'll have to get reading to find out more! Who is your protagonist and how did you create them as a character? Miller Hatcher is in her late 20s, unmarried and is an investigative reporter. She started off as someone else entirely – a different name, married, children, different job. But when my manuscript assessor read about this other character she didn't think she was strong enough and so Miller was born! A strong female protagonist although she's fighting a few demons. Characters with flaws are able to carry strong stories, so Miller sounds perfect. 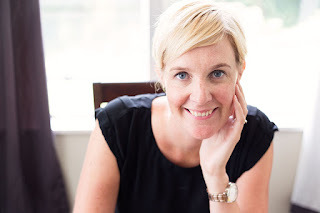 How long did the process take from start to finish – from idea right through to publication? A long time! The idea was in my head for at least a year before I started. Then the whole process of writing, assessment, editing, etc, probably took almost three years – that includes the manuscript going into hiding for a good six months because I thought it wasn't good enough to publish. But in the end I got enough positive feedback that I took the leap and self-published – and I'm glad I did! Going into hiding will sound familiar to many authors: writing a book is one thing, sharing it with the world is quite another! 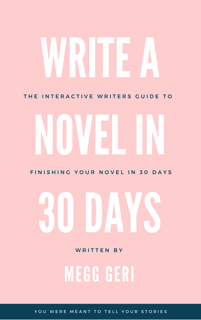 Have you learned anything about yourself or your writing during this process? I've learnt that when it comes down to it I am a planner. 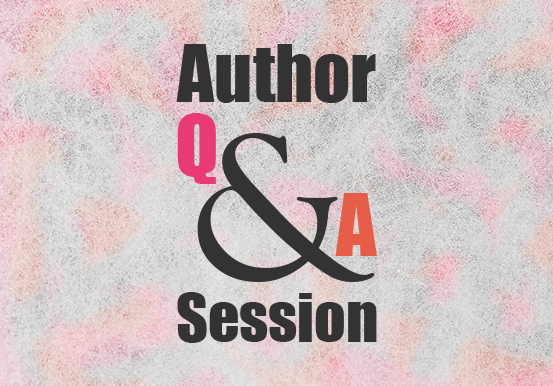 I need to know my characters and the basic storyline – even the ending – before I start. I kind of admire the writers who sit down and just dive in, getting to know their characters as they write. I write in pretty much one place only and that's at my desk in the corner of my lounge. (My long-held dream is to one day have my own office!) Both of my girls are at school so I try and fit my writing time between the hours of 9-3. But in saying that if I feel the need to write – I write. I take a lot of notes when I'm away from my desk. I think that's how half of Nothing Bad Happens Here got written! Falling asleep is the prime time for brilliant ideas which then has me grabbing for my cell phone and emailing myself ideas! One final question before we wrap up: will there be any more books featuring Miller? Nothing Bad Happens Here was supposed to be a one-off. I never had any intention of writing any more books about Miller, but once the book came out I got many questions and comments from people – men and women – saying how much they loved Miller. Everyone wanted more from her and wanted to know what happened to her after her time in Castle Bay. I was more than pleased that people liked her and cared about her. She's a strong and gutsy woman but more than that she's flawed, which I think makes her relatable. It only took a few minutes of thinking and ideas starting coming about another book featuring Miller. So my next book, No One Can Hear You (out later this year) is a standalone book, and my third book will feature Miller Hatcher (and probably a few more books after that!). We look forward to chatting with you again when No One Can Hear You comes out!